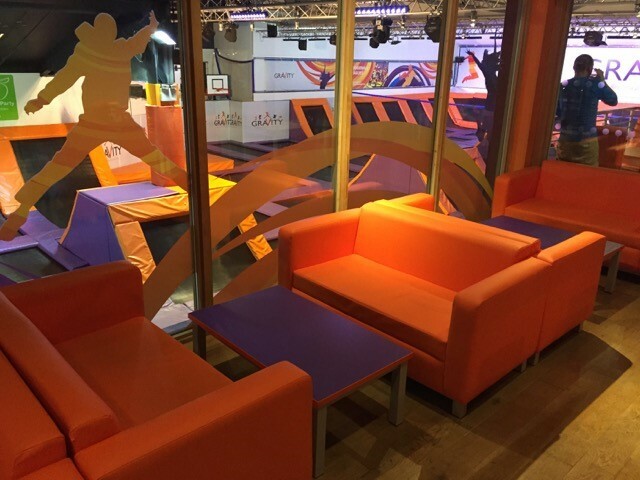 Gravity Fitness use the colours orange and purple in their fitness centres and asked Merlin Industrial to supply a variety of sofas, coffee tables and canteen units to match their livery. The images below show the new sofas on site and how they fit in with the rest of the centre. Vinyl was used on the seating to provide a long lasting fabric that can be easily cleaned. Merlin Industrial would like to thank Gravity Fitness Ltd for their patience as during the order the factory moved to a new site.